Nothing much happening, so nothing to say! 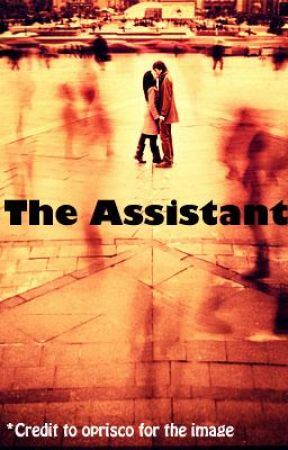 I hope you are all enjoying The Assistant so far! Thanks! Please comment and vote! I sat down on my office chair feeling crumpled. She just wouldn&apos;t listen. If only she&apos;d listen for another 30 seconds it would be fine! She was right though. It wasn&apos;t supposed to happen and I seriously needed to break up with Hayley. Now, to call Hayley. "Hayley? Yeah, can we meet up at the Corner Bistro? Ok, cool," I spoke into my sleek phone. I took a deep breath. No backing out now, Aaron. Just say it when you meet her. Just say &apos;Hayley, I hate you&apos;. No, that&apos;s a little too harsh. I can do the &apos;Let&apos;s just be friends&apos; thing . . . I sighed again as I walked across the street. Breakups are so troublesome. I walked in and unravelled my thick scarf. Thank God this place had a heater. I looked around for the gorgeous Hayley and found her immediately. I walked over nervously and clutched my scarf hard in my hands. I sat down and took a deep breath. "Hey, Aaron. Ok, so today my manager or whatever was all like you need to -"
Phew! That was easier than I thought! "What?" She asked with noticeable venom in her voice. "Let&apos;s . . . break . . . up?" I hate it when I get scared by her. "Why? It&apos;s Nat isn&apos;t it? I knew there was something going on!" She said, looking around as if Natalie was in the cafe with us. "No, it&apos;s not Nat. It&apos;s you. You&apos;re intimidating and clingy and show-off-y. I just don&apos;t go for those traits in a girl. I want to go back to just being friends," I said speedily as I breathed out. "Oh, don&apos;t give me the just friends speech!" She shouted, standing up, causing everyone to stare. "That&apos;s what we were and I was more or less fine with that. I just . . . I&apos;ve fallen in love with someone else. It&apos;d be unfair to you," I said in what I hope was a caring voice. "See? I knew it! This is all Nat&apos;s fault!" She screeched. I grimaced and held her by the shoulders. "HAYLEY, IT&apos;S NOT NAT, IT&apos;S YOU. I&apos;m over this Hayley, I&apos;m going home," I said, truly exhausted. I left with half of the cafe&apos;s customers&apos; eyes on me. I saw Hayley gaping in shock. Obviously, she&apos;d never been dumped before. Sure, Nat isn&apos;t as pretty as Hayley. She&apos;s just much more than that. That&apos;s why I love her. I just don&apos;t know how to tell her. I still don&apos;t know if I should tell her about Rick. I just don&apos;t know what to do. "Ugh, where&apos;s Hayley? She usually drops in around now," Nat said. "Hayley and I broke up," I told her bluntly, keeping my eyes on my paperwork. "No, Nat. I&apos;m totally kidding," I deadpanned. "Haha. No need to be sarcastic. Why?" "Because you said I needed to break up with her," I said, finally looking into her deep hazel eyes. "So, does that mean that you&apos;re going to jump of a cliff if I told you to?" "Nat, I&apos;d do anything for you," I simply answered. Nat had a face that screamed "WTF". I guess I did catch her by surprise. "Uhh, what if I asked you to give me a raise?" She smiled. "That one might be an exception," I laughed uneasily as the mood had turned . . . awkward. "Well, it&apos;s seven p.m.! I guess I should go home now. Later, Aaron," Nat said breezily, turning around. I grabbed her by the wrist and spun her around. I was going to tell her now. About everything. About anything. I was just going to tell her. She looked into my eyes questioningly. "What?" She laughed, trying to change the direction this conversation was going. "Nat, can you be serious with me for once?" I asked, dropping her wrist. "Fine. I&apos;m being serious," she said. "Just listen. Don&apos;t interrupt. Because you tend to do that - "
"No, I don&apos;t. Oh, sorry," she smiled guiltily. "Can I just go and pee?" She asked innocently. "Fine, fine. I was just joking anyway. Continue," she smiled. "OK. Nat, ever since . . . I don&apos;t know, I&apos;ve liked you. Then when we slept together, mistake or not, I think I love you. I&apos;m IN love with you. Rick or Hayley or anyone can&apos;t change that." She searched my face. She licked her lips and chewed on them, deep in thought. "Aaron . . . I just can&apos;t dump Rick for you. 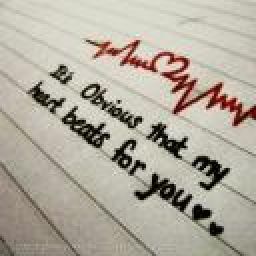 I don&apos;t even know how I feel about you. It would hurt Rick. I mean, Rick is my boyfriend. He&apos;s also you&apos;re best friend. Consider his feelings," she said softly. I felt anger boil inside me. Or was it jealousy? &apos;Rick this, Rick that&apos;. It was really getting on my nerves. "Rick doesn&apos;t know you as much as I do! He hasn&apos;t even told you he loves you, that&apos;s because he doesn&apos;t. He hasn&apos;t been aching to sleep with you like I have. Besides, he&apos;s cheating on you!" I shouted out. Nat looked taken back. Her lips were moving but no words were coming. A lone tear escaped the side of her eye. I lifted my hand to wipe it away but she stopped me. She sniffled. "Thanks for telling me. Everything. I guess I needed to know that, even if it hurts. I guess, that&apos;s why he&apos;s going to England, huh? Well, I guess I deserve it. Cheating on him and everything. If that&apos;s all you have to say . . . "
"That&apos;s not it," I said hurriedly, holding onto her shoulder. "Aaron, I have to go. I was going to give you this tomorrow but . . . I guess now&apos;s a good time. Here," she said, handing over an envelope. "Hand that to Amy or whatever. It&apos;s my two weeks notice. I&apos;ll see you tomorrow." She turned around easily and left. I stood there, staring at her back and then the envelope. I hoped that was an interesting chapter for you!! Please comment and vote, thanks!